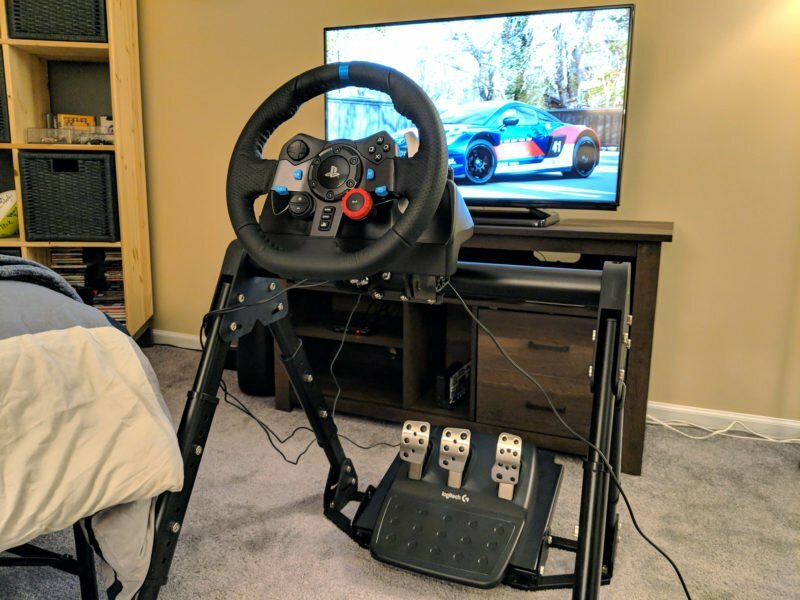 If I had to choose one word to describe my approach to sim racing hardware, it’d have to be “minimal.” For the vast majority of my make-believe career, I’ve plugged away with nothing more than a controller. 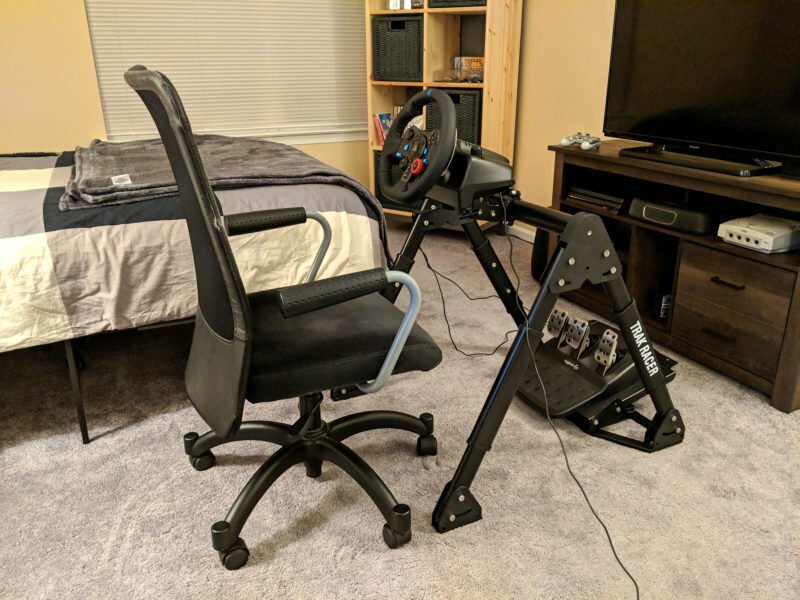 When a brief stint with iRacing forced me to use a wheel, I snagged a Driving Force GT and improvised a rig using a folding dinner table, along with a large stack of books behind the featherweight pedals to keep them from sliding. I’m willing to bet anyone that I got more mileage out of that table than some people do out of their dedicated cockpits, but eventually, you’ve got to move on. Money and space constraints was ultimately what kept me from the proper setup I deserved. But if I had known something like the Trak Racer FS3 existed back in my TV tray days, perhaps I wouldn’t have held out for so long. 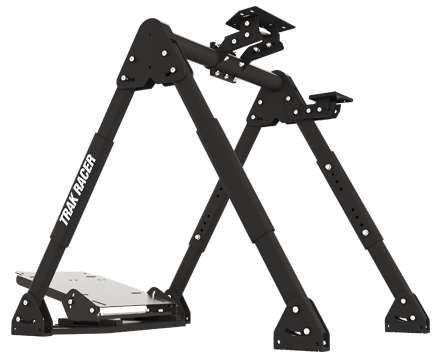 Retailing now for $199, the Trak Racer FS3 is a jack-of-all-trades wheel stand that strikes a good balance between portability and stability. 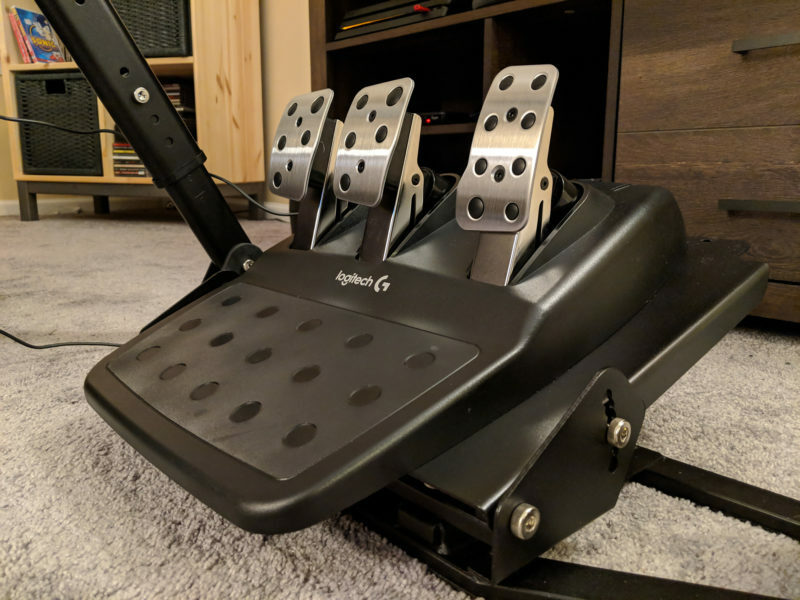 While it might not be the most intuitively-designed piece of kit in the world, nor the best option for the space conscious, it is a reliable choice for the sim racer on a budget. The kind people at Trak Racer sent us an FS3 to test for this review. Crafted primarily from powder-coated matte black steel with limited assistance from a few plastic brackets, the Trak Racer FS3 is a wheel stand that rightfully emphasizes function over form. The rig tips the scales at just under 40 pounds — more once a wheel, pedals, and shifter are attached, of course. That weight lends itself to a feeling of rigidity that you just don’t get from competing stands. Visually, the FS3 is unfussy and uninteresting — but then, that’s the point, isn’t it? 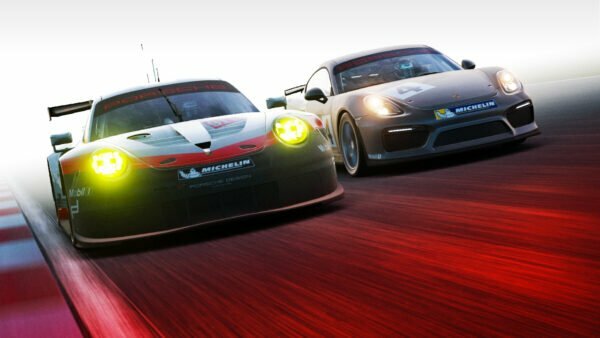 To get out of the way and give you the stability you need to drive hard. The lone examples of adornment come on two of the plastic sleeves that join the legs, painted simply with the words “Trak Racer.” Unfortunately, the plastic components themselves are somewhat susceptible to scratching and scuffs, especially where the bolts dig in — a nitpick to keep in mind. Included in the box is an Allen key and wrench. The former is used to tighten just about every bolt that keeps the wheel stand together, while the latter is critical for fastening the clamp that fixes the wheel shelf to the top bar. Everything was packed tightly and securely upon delivery, and I noticed no defects as I set about constructing it. Trak Racer has adopted a dead simple approach with the FS3. The workbench-like design allows for total adjustability, with four legs that keep the rig sturdy and planted no matter what beast you’re taming. The FS3’s appeal is in its versatility. There are four height positions, and the distance between your wheels and pedals can be shortened or lengthened by opting for a shallower or wider angle between the legs. The plates that hold the wheels and pedals can also be set at custom angles or moved forward or backwards independently, and of course the whole thing can be folded when it’s time to put the toys away. It’ll take some time for you to find the sweet spot in seating — something that we’ll return to as it pertains to assembly. 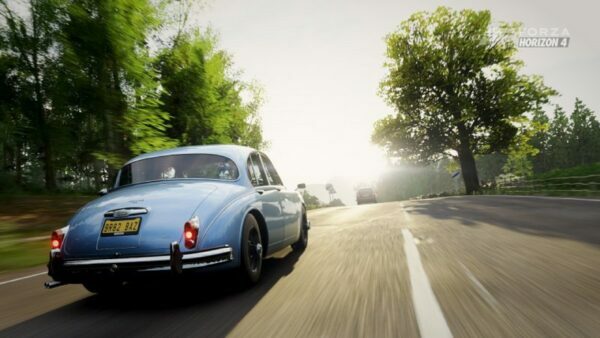 However, when all is said and done, the FS3 can provide a very comfortable driving experience, obviously aided by the fact that you are free to use whatever chair you want with it. 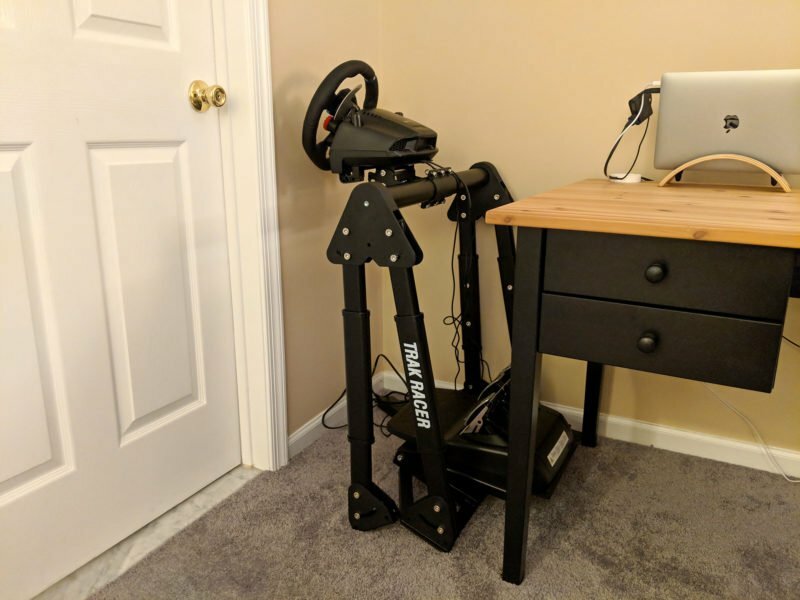 Trak Racer has designed this wheel stand to accommodate office chairs, and it suited my aging Ikea swivel chair well. At about 25 inches wide, the FS3’s legs should easily clear armrests and casters. 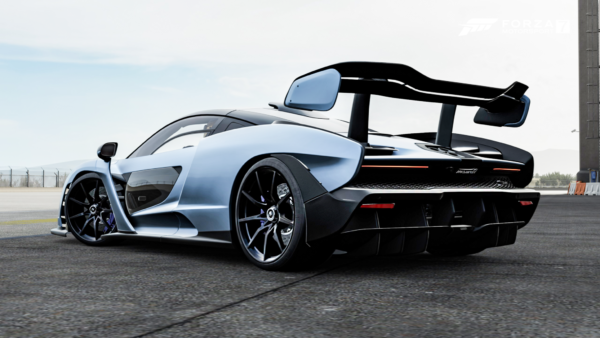 Because you’re not in a low-slung seat, the orientation ends up a bit more upright than those with a cockpit might be accustomed to. I peak at about 5’10,” so I opted for the second-to-lowest height position and set the legs at their maximum angle. 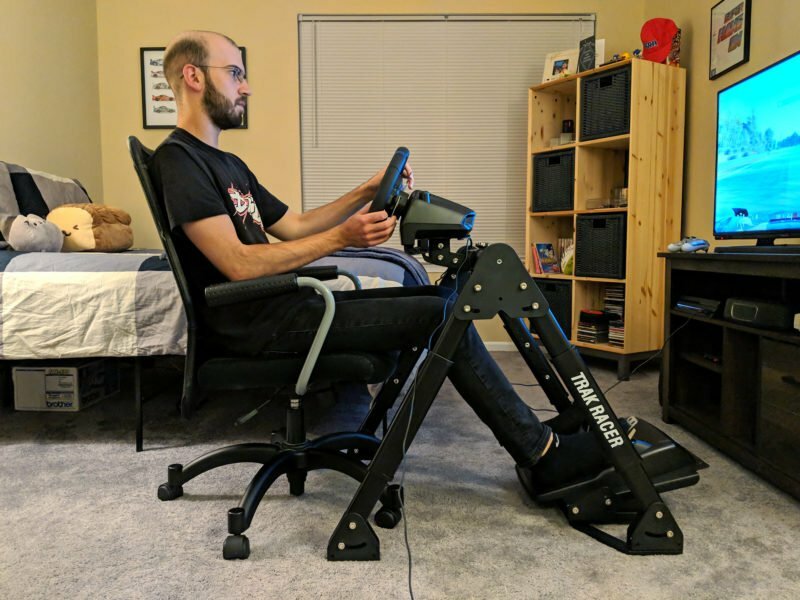 I brought the pedals as close to me as they could go while dialing in a moderate incline, and set the wheel shelf as far forward as the rig would allow. I never found myself straining in any capacity, and that’s really all you can ask for. Truthfully, the level of customization the FS3 allows is almost overwhelming. This isn’t a difficult rig to assemble, as it ships in eight separate components with bolts pre-attached to their proper locations, and took me about 45 minutes to put together. However, at each step of the 11-part process, the directions suggest you adjust every joint to your comfort — which is less intuitive than you’d think. The problem is that there are no quick-release mechanisms or rails here; Literally everything is adjusted via loosening bolts, moving an aspect of the frame to your desired position, and then tightening those bolts. And because of the scaffolding-style construction of the whole thing, a modification in one area typically necessitates more tweaks elsewhere. In retrospect, the easiest way to assemble the FS3 and achieve the fit you’re looking for is probably to just put it together loosely, and then work backwards while you’re sitting up to it as you would in a race. But even so, those bolts get tedious — especially when you’re not using the stand. That brings us to the major dilemma with the FS3. While it’s undoubtedly more portable than say, a stationary cockpit, it’s simply too heavy and cumbersome to easily stow away. To fold it up, you’ll have to loosen the eight bolts that join the legs at the middle of the frame, which is quite time consuming. At that point, the rig can fold — but with your wheels and pedals mounted, it’s still not very compact, so you’ll probably need to remove those as well. Ultimately, this is a wheel stand that is relatively easy to move, but quite hard to put away. At least Trak Racer has thoughtfully pre-drilled mounting holes for every major manufacturer’s equipment, from Logitech to Thrustmaster to Fanatec, and even more exotic direct drive wheels. Here is where the FS3 really shines. All-steel construction, four legs and a robust deck for the pedals mean this thing just doesn’t slide about for no one — no matter how fast your feet are, or how spirited your steering is. For my testing, I used the one and only wheel in my possession. 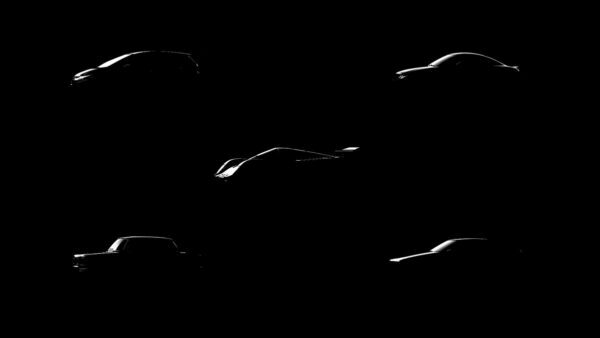 (No, thank heavens it wasn’t a Driving Force GT. That wheel served me admirably, but I’ve since upgraded to a Logitech G29.) 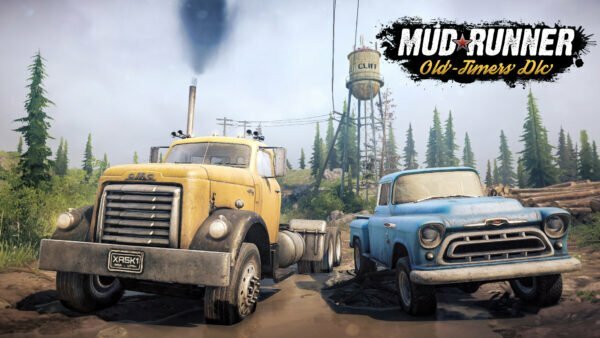 Thrashing about from side-to-side, the stand’s legs nudged laterally but didn’t flex, and what small motion there was never impacted my driving. 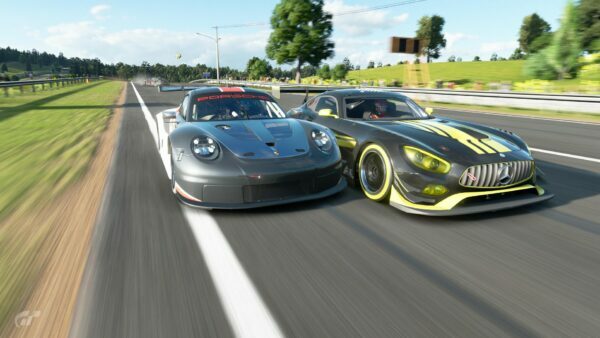 I felt just at home cruising around one of GT Sport’s beginner Kyoto tracks in an MX-5 as I did snaking through the concrete jungles of Tokyo Expressway in the legendary Mazda 787B. I’ve seen criticism that the FS3 is susceptible to shifting a bit on hard floors. However, the carpet in my home kept the rig planted, and the heaviness of the pedal shelf and supports kept the front firmly on the ground. Still, it’s something to be wary of depending on your space, as well as the strength of the force feedback your wheel puts out and how heavy your pedals are. Interestingly, the G29’s built in plastic clamps were more than sufficient to fix the wheel to its shelf. Still, I used two M6X1 screws for good measure. The pedals, on the other hand, were unusable without screws to keep them in place. I foolishly tried to tighten them after I had assembled the entirety of the pedal shelf, which made accessing the screws quite challenging. (Don’t make the same mistake I did!) It’s also worth mentioning that the FS3 comes with a height-adjustable mounting point for a shifter that can attach to the left or right legs — or not at all — depending on your preference. 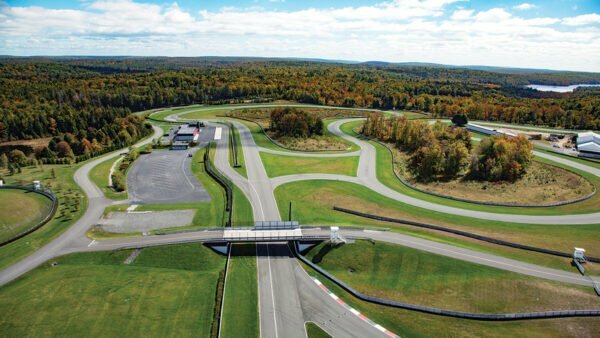 The Trak Racer FS3 was originally listed on the company’s site for $249, though it’s now going for $199. Amazon’s got it for even cheaper, at just $159 before shipping. That’s solid value, considering the popular Wheel Stand Pro goes for anywhere from $150 to $200, depending on the version you need for your particular gear. Those put off by the Wheel Stand Pro’s single-pole design will much prefer the FS3’s added stability, so long as they’re willing to part with the compact, lightweight form factor. Trak Racer also offers a number of accessories to accompany the FS3. There’a a keyboard and mouse mount, as well as a freestanding monitor mount wide enough to clear the FS3’s legs. The website also lists other add-ons coming soon, like speaker supports and standalone shelves for those who would like to supplement their shifter with a handbrake. 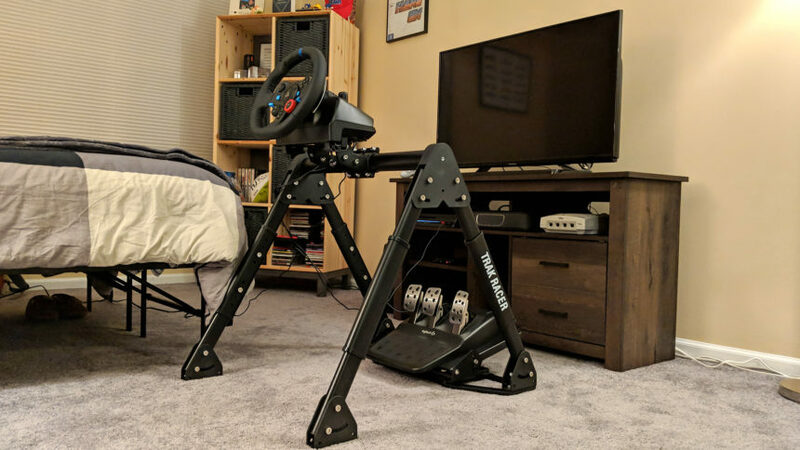 As sim racing expands, hardware makers like Trak Racer have risen to the task, developing alternatives to the full-on cockpit experience that remains out of reach for the majority of players. And the FS3 is a welcome addition to the plethora of options out there. No, it won’t be the perfect stand for everyone. Those who prioritize portability won’t fancy the process of packing away in excess of 40 pounds of steel. Then again, simpler options like the Wheel Stand Pro might be too flimsy for some, and the FS3 provides stability more akin to that of a permanent rig — without the permanence, of course. It’s also a great entry-level rig to grow with. The FS3 won’t buckle under pressure, and given its tough-as-nails construction, we doubt it’ll wear with age. Meanwhile, the tremendous potential for adjustability also means seasoned pros can tweak their driving position to their heart’s content. That makes the verdict quite simple. No matter who you are or what you play, Trak Racer’s wheel stand is worthy of your consideration. 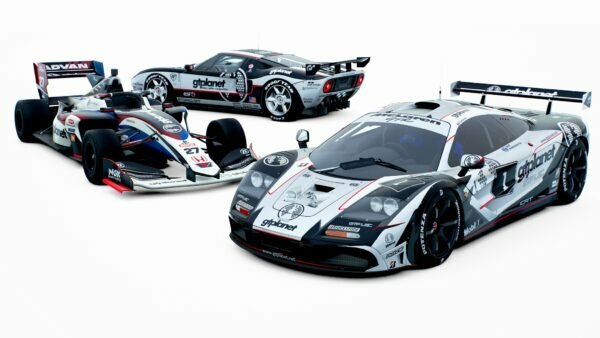 The Trak Racer FS3 is available on the official Trak Racer site. The Trak Racer FS3 is an excellent wheel stand for those looking to maximize versatility without compromising on stability. There’s not much to the FS3 visually speaking, but heavy duty steel makes it much more durable than your typical budget wheel stand. Every aspect of the frame can be raised, lowered, or tilted to accommodate racers of all shapes and sizes. Quite easy to put together, but tedious and fiddly to adjust. It can fold, but its weight and size make it portable in the weakest sense of the word. If only all wheel stands were this solid. With four legs and a robust deck for the pedals, the FS3 is one of the best stands at this price if stability is your priority. At just under $200, this stand is a formidable alternative to mainstays in the market, and doesn’t command a steep price for its unique design.